Martijn Boogarts (robotica) and Eric, made a die out of new TECHNIC parts. Mainly using the new 5x7 frame. It is just a good example, how sturdy and stiff structures, the new frames could allow to achieve. As for the die, no slip and you can roll/throw it like a real one. Wow, the things these people come up with! 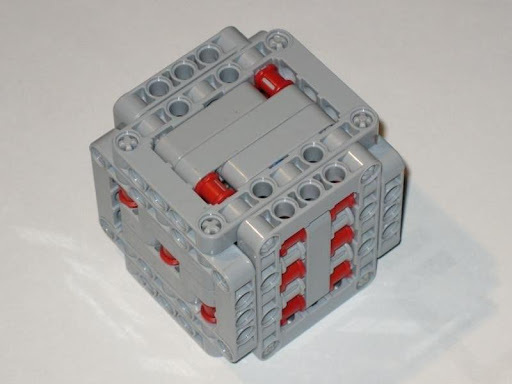 I have one question, though: from looking at the die face with the "3", I noticed there are some "4L beams" used. 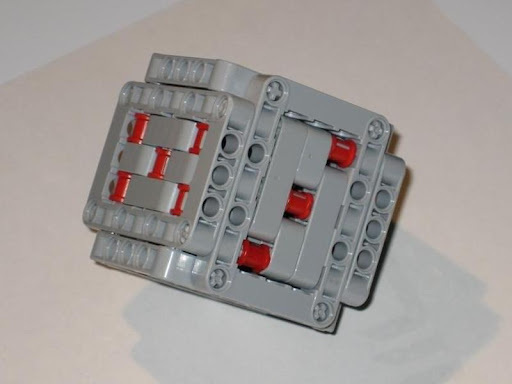 Since LEGO only produces straight beams in odd lengths (except the 2 studs version) and I don't see any longitudinal seam along the beams, I suppose those faces actually use Liftarms 2 x 4 L Shape instead, with the protuberance turned to the inside. Won't that make the die slightly unbalanced, and therefore making some results more probable than others? You do not exist Alexandre! I too considered the difference in weight of the "bush/non-bush" issue, but thought it would make less of a difference than the bent liftarms. Anyway, I guess that, if balance was to be fundamental, every face could be constructed with the same parts, using only differently coloured bushes for the dots. But, of course, it would look much uglier. 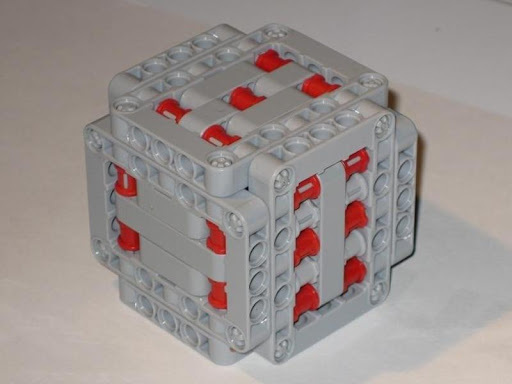 What a clever way to make a perfect cube using rectangular sides! 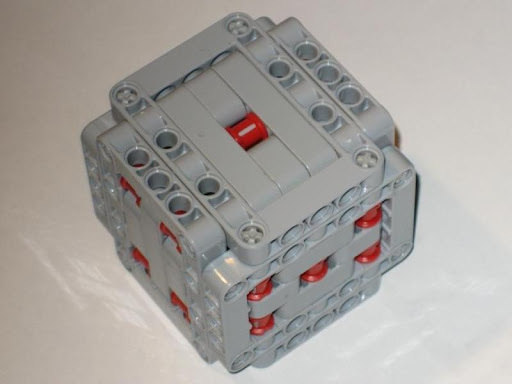 It even cuts out the corners like on a real dice. Looks very strong too. Could stack two of these.